Figured I would move this thread over to the boxing side of things. I have been working on the W580 Checklist / Image Gallery Project for about a year now, and I finally have something to share with you. While the complete checklist for this set is currently unknown, I propose that 60 cards comprise this set. On my site, you will find images of the 55 different W580 that I have collected (54 in hand, plus 1 on the way). (For reference, I still need Abe Goldstein, Owen Moran, Jack Renault, Tommy Ryan and Jimmy Wilde to complete the set.) I will continue to update the gallery (and this thread), so check back from time to time*. *Up next: I still need to collect the 5 cards I am missing—if you can help me, please drop me a line. Also, in the gallery, beneath the image, I will make a distinction between which cards were hand-cut and which were machine-cut ("thai" version). Last edited by wake.up.the.echoes; 07-30-2011 at 08:36 AM. Last edited by Exhibitman; 04-05-2011 at 01:18 PM. Adam, thanks for the images of WHITE and GANS. Mind if I add them to the gallery? I'll indicate that I don't own them. (Unless, of course, you own the WHITE card and you want to sell it to me for a great price!) What's the emoticon for jealous, anyway? LOL. Nice card and thanks for posting the images. 2 down, 6 to go. Last edited by wake.up.the.echoes; 04-05-2011 at 01:19 PM. No problem; feel free to use them. I don't know if I own the White; I haven't looked at my W580s in a while. However, Mr. Anchowitz (his real name) would not be for sale if I have it; member of the tribe so to speak. Last edited by Exhibitman; 04-07-2011 at 12:12 PM. Here's a Joe Gans that I have. Feel free to post it to your site. You have a few I could use. Well whaddayaknow, the image was as expected! thanks, guys! awesome. rbrown, pm sent. 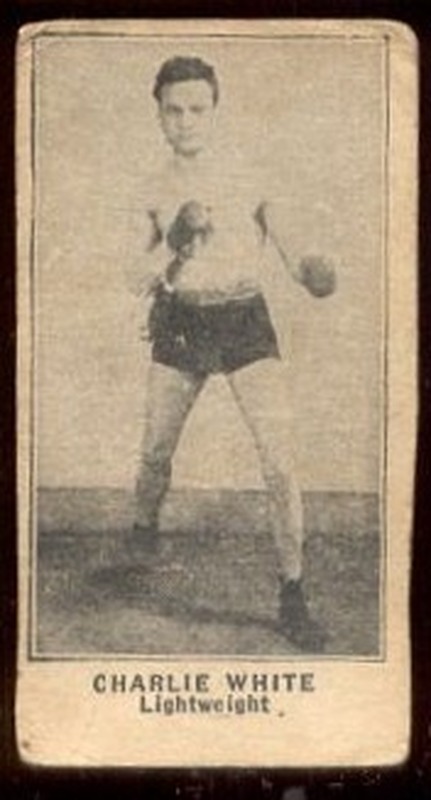 Although I don't own the card, here is an image of Kid Lavigne. If you are keeping score at home, that leaves 5 cards (Abe Goldstein, Owen Moran, Jack Renault, Tommy Ryan and Jimmy Wilde) for which I still need an image. 55 down, 5 to go. Last edited by wake.up.the.echoes; 06-07-2011 at 01:49 PM. Added #53 to my personal W580 collection (Kid Lavigne—53 down, 7 to go), as well as some of those "Tobacco Toploaders and Sleeves" made by BCW; enough to hold my entire W580 collection (109, including duplicates, lol—my own "Monster"). Last edited by wake.up.the.echoes; 06-12-2011 at 09:17 AM. I came across two Charlie Whites. Both in rough shape. Any interest? Last edited by wake.up.the.echoes; 07-29-2011 at 12:42 PM. I thought I might take the liberty of reviving this thread to discuss the cards from this issue that are attributed to Thailand [Siam]. I'm convinced that the Siam cards are either a non-US issue for overseas use or a US product meant for overseas use. The few unidentified accumulations of these cards that I've run across have been mixed in with British tobacco cards. The latest group came mixed with Drumhead Cigarettes cards, which were a British overseas issue. Another purely anecdotal piece of evidence that these cards came from a long ways away is that the Drumheads with the Siam cards had small holes in them typical of bug holes I've seen in cards from Cuba and other tropical areas. I am absolutely convinced that the cards are machine-cut as issued. All are almost exactly the same size [minute variations similar to other machine cut cards of the era] and have straight edges that even the most careful hand cuts could not replicate. Even the borderless card [McFarland] measured almost the same as the other cards and had straight borders. As compared to the typical W580 the Siam cards' surface is glossy and the cardboard is a lot better quality. The Siam cards are much more difficult than the standard W580. I've handled hundreds of the standard cards but only a few dozen of the others. They should sell for a substantial premium but likely have not because of the obscurity of the issue and the close similarity to the standard cards. I'd be curious as to a population count but they are difficult to differentiate on their faces from scans, so it may be difficult to get a true count, although you can rule out any card that shows evidence of hand-cutting on the sides or that is on cheap, non-glossy chip board. I will try to make side by side scans of the same fighters to see if I can post a graphic on the difference. Anyone with more data, please post. Last edited by Exhibitman; 08-08-2011 at 06:35 PM. I owend a Siam Harry Wills Adam, so you can add that to the list. I will go through my w580 and let you know which ones I own in Siam variation. Last edited by wake.up.the.echoes; 08-09-2011 at 09:33 AM. Last edited by wake.up.the.echoes; 08-09-2011 at 12:24 PM. Okay resurrecting an OLD thread. 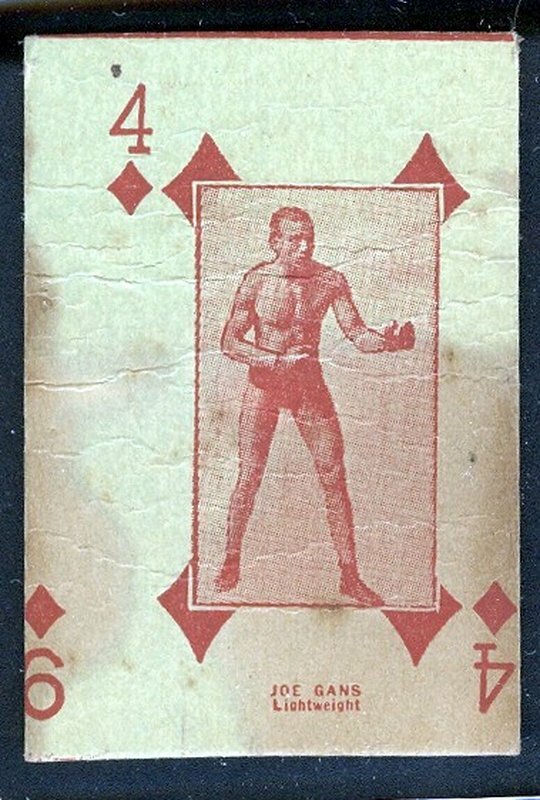 I am wondering ... has anyone ever seen a W580 (not Siam) versions of James J. Corbett, Dundee, Erne, and Bob (not Young Bob) Fitzsimmons? Could it be possible that the W580 checklist only has 51 cards ... not the 55 currently thought to exist? Well, despite what PSA would have you believe ... you can add Jack Johnson to the list of Siam W580 cards.